Medical detox is often the first step toward recovery for people who want to quit using drugs or alcohol. The process itself entails medical supervision and supportive withdrawal management as the body clears itself of the toxic influence of the abused substance. Many people who want to stop using drugs and alcohol—especially those with long-term addictions—suffer withdrawal symptoms that range from mildly unpleasant to extremely uncomfortable (and even life-threatening, in some cases). During medical detox, people experience a safe and more comfortable process of withdrawing from the addictive substances through specific techniques and interventions, such as medication therapy, that help minimize and alleviate withdrawal symptoms. Standalone inpatient or residential detox facilities. As the initial portion of a longer-term drug and alcohol treatment program. Outpatient setting utilizing medication-assisted therapy. What Kinds of Detox Programs Are There? While there are many types of detox facilities, the best facility for you is the one that meets your individual needs. SAMHSA recommends inpatient detox, hospitalization, or other forms of 24/7 care for people suffering from “alcohol, sedative-hypnotic, and opioid withdrawal syndromes … based on principles of safety and humanitarian concerns.”1 Sedative-hypnotic substances include benzodiazepines, such as diazepam (Valium) or non-benzodiazepine hypnotics, like zolpidem (Ambien). Opioid drugs include morphine, heroin, hydrocodone, and oxycodone (OxyContin). People who require medication to manage withdrawal symptoms that would otherwise significantly increase relapse risks would benefit from detox services that involve 24/7 medical care and support. Acute-care general hospitals. While many medical facilities offer both inpatient and outpatient detox services, only inpatient detox provides 24/7 care and attention from doctors and other medical staff. With inpatient detox, you receive around-the-clock support to help you better manage withdrawal symptoms. Physicians are available 24 hours a day by phone if they are not onsite, and qualified nurses and other medical staff are always present to administer medication and provide other forms of supportive care. An interdisciplinary team—which includes professionals such as social workers, counselors, and psychiatrists—can also evaluate and treat any co-occurring psychiatric disorders. Acute-care psychiatric hospitals. Similar to acute-care general hospitals, these facilities offer 24/7 care, monitoring, and support from professional medical staff. Acute-care psychiatric hospitals are also well-equipped to treat people with dual diagnoses, a term that refers to chemical dependency combined with psychiatric disorders, such as schizophrenia or bipolar disorder. Specialty inpatient detox clinics. Residential detox clinics offer a wide range of care. Those that offer intense medical support have physicians, nurses, nurse practitioners, and other specialists available 24/7 to administer medication and provide monitoring and support to people going through withdrawal. Some of these programs include holistic methods that assist in an easier withdrawal process. They can also attend to psychiatric problems that may arise. Some other types of residential or inpatient detox offer much less, if any, medical support, and are known as social detoxes. These latter programs are only appropriate in cases wherein non-pharmacologic recovery is a safe option, and are based largely on peer and social support. A detox wing of a long-term drug and alcohol treatment center. Many facilities that offer long-term drug and alcohol treatment also provide inpatient, medically supervised detox services and 24/7 monitoring, care, and support. In most cases, you can also transition to a drug rehab program at these facilities when you complete detox. Many different medications are used to help people through the detox period. Keep in mind that medications can have a wide range of contraindications and may interact with prescription medication or herbal supplements you already may be taking. Always inform your doctor and medical staff if you are using any prescription or over-the-counter medications or supplements. Benzodiazepines. This includes medications such as diazepam (Valium), chlordiazepoxide (Librium), and lorazepam (Ativan), which may help to prevent seizures. With abuse potential of their own, these medications must be judiciously administered and are contraindicated in those with hypersensitivity reactions to them, as well as people with sleep apnea, liver failure, or myasthenia gravis, a neuromuscular disease. Anticonvulsants. This group of medications includes carbamazepine (Tegretol) and valproate (Depakote). Should benzodiazepines be contraindicated for use, these or other anticonvulsant medications may be used to reduce the risk of seizures during withdrawal. 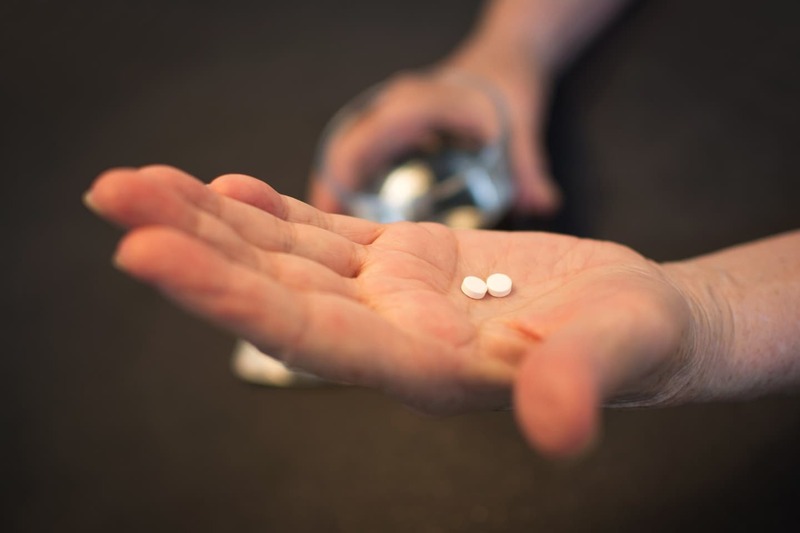 These types of anticonvulsants are sometimes prescribed for people suffering from relatively mild withdrawal because they have a lesser risk of sedation than benzodiazepines. Anticonvulsants are contraindicated for those at risk for severe withdrawal complications. Antipsychotics. These medications, such as haloperidol (Haldol) or risperidone (Risperdal), are less frequently used, but may help to reduce the intensity and duration of withdrawal-associated agitation, hallucinations, delusions, and delirium tremens (DTs). Contraindications for use can include hypersensitivity to antipsychotics, kidney or liver disease, uncontrolled epilepsy, and brain damage. Benzodiazepines or barbiturates. It may seem odd to give someone in withdrawal more of a similar substance, but this is a common treatment method for benzodiazepine withdrawal. People are often gradually tapered off of the benzodiazepine they are currently using, or they may receive a replacement with a longer-acting alternative, like diazepam (Valium). Less frequently, the barbiturate phenobarbital may be used similarly. Once people are medically stable, the dose is tapered off completely, usually over the course of weeks or months. Anticonvulsants. Carbamazepine and phenobarbital may help reduce withdrawal symptoms and prevent seizures. Antidepressants. A range of antidepressants can help to alleviate depressive symptoms that may arise as a result of withdrawal. Antidepressants can have a wide range of contraindications depending on the specific drug used; for example, a class of the more commonly used antidepressants known as SSRIs are contraindicated for use in pregnant women and those who are hypersensitive to the drugs. Methadone. Known as a full opioid agonist, methadone works much like other opioids in the body. It has a long duration of action, which makes it a beneficial option to reduce and alleviate withdrawal symptoms. Methadone use is often tapered off over time, with duration of use lasting as long as 12 weeks on average. It is contraindicated for use in a number of conditions, including people with respiratory depression, people who are sensitive to methadone, those who may have a paralytic ileus (decreased propulsive movement in the intestinal wall, with the potential for bowel obstruction), people with acute asthma, or those who have used an MAO inhibitor in the past 14 days. Buprenorphine. Known as a partial opioid agonist, buprenorphine interacts with the opioid receptors in the brain but elicits a less robust opioid effect, resulting in increased safety due to a lower risk of overdose. It is equivalent to methadone in terms of effectiveness but can be tapered off more quickly in many cases. To prevent adverse reactions, people with diabetes, respiratory deficiencies, or a urethral obstruction should be careful when taking this drug. Suboxone. This medication is a combination of buprenorphine and naloxone—the latter drug is an opioid antagonist. The naloxone component is included to deter misuse, since doing so would result in the onset of acute opioid withdrawal. Clonidine. This medication is used to help manage some of the unpleasant physical symptoms of opioid withdrawal, such as sweating, diarrhea, and insomnia. In some cases, it may be contraindicated for people who are actively using the above opioid substitution medications. Benzodiazepines. Diazepam, for example, is sometimes used to treat symptoms of agitation that may occur during withdrawal. Similar to stimulant drugs, there are presently no medications approved that specifically treat the withdrawal syndrome associated with cannabis (marijuana). It’s normal to feel apprehensive when entering a detox program, but rest assured that detox center staff provides support and education throughout the process so you’ll know what to expect. Generally speaking, you will participate in an evaluation, then enter the actual detox process, and finally transition to a treatment program, in many cases. When you enter a detox program, you will receive a complete biopsychosocial evaluation, which means you will be assessed for social, physical, and psychological issues. You will provide detailed information about the drugs you used, including doses and frequency, any medical problems, and whether you have had previous drug treatment. Staff will evaluate you for nutritional deficits as well.1 You will likely complete a lot of paperwork, including providing proof of insurance coverage. The staff will then create a detox plan based on the results of your evaluation. During the actual medical detox process, you will receive medications to help ease withdrawal symptoms. The length of your detox program can vary based on your individual needs, but in many cases, medical detox lasts around 1 week.1 You will also receive education about recommended treatment programs for your individual needs. Rules vary among medical detox programs. They may ask for your cell phone upon arrival, limit computer use, prohibit certain movies or TV programs that show triggers for substance abuse, supervise urine tests, and restrict visitors.11 Inquire about the specific policies and rules when researching the appropriate detox for your needs. Drug specializations. Specialized medical detox programs, such as those that focus on your specific drug of choice, may provide a better approach to care, and staff may have a higher level of expertise with your concerns and symptoms. Seamless transitions to rehab. Once you’ve completed detox, you may consider entering a drug rehab for more in-depth treatment. Many detox programs are part of more comprehensive addiction treatment facilities; transitioning to a treatment program that is already part of the same facility can make it easier for you to continue with your recovery. Location. While some people find it easier to attend detox in a location close to home, others may prefer the anonymity offered by out-of-state programs, or may simply want to distance themselves from an environment in which their substance issues arose in the first place. Population specializations. Some facilities focus on specific groups, such as women, teens, LGBT, or veterans; others use a faith-based approach. You may be more comfortable during detox if you are in an environment that respects and adheres to your lifestyle and beliefs. Insurance. Since cost is a practical factor for most people, finding a center that takes your insurance can help make the detox process more affordable. Cost. Maybe you want to pay for a private room in a residential detox facility or you would like a more luxurious detox that offers additional amenities, such as more tranquil and aesthetically pleasing settings, gourmet meals, or massages. These perks come at a price, so weigh your wants and needs against your budget before making your decision. Success rates and reviews. You might be able to research the success rates and overall experiences others have had at certain detox centers by reading online reviews or asking people you know who have been through the process. Osher, F. & Kofoed, L. (1989). Treatment of Patients With Psychiatric and Psychoactive Substance Abuse Disorders. Psychiatric Services, 40(10), 1025–1030. World Health Organization. (2009). Clinical Guidelines for Withdrawal Management and Treatment of Drug Dependence in Closed Settings. Geneva: World Health Organization. Kattimani, S. & Bharadwaj, B. (2013). Clinical management of alcohol withdrawal: A systematic review. Industrial Psychiatry Journal, 22(2), 100–108. Department of Health and Children. (2002). Benzodiazepines: Good Practice Guidelines for Clinicians. Lilley, L., Collins, S. & Snyder, J. (2015). Pharmacology and the Nursing Process. St Louis, MO: Elsevier. Diaper, A., Law, F. & Melichar, J. (2014). Pharmacological strategies for detoxification. British Journal of Clinical Pharmacology, 77 (2), 302–314. Lader, M., Tylee, A. & Donoghue, J. (2009). Withdrawing benzodiazepines in primary care. CNS Drugs, 23(1), 19–34. Ford, S. & Roach, S. (2013). Roach’s Introductory Clinical Pharmacology. Philadelphia: Lippincott, Williams & Wilkins. Epocrates. (2017). Methadone: Generic: Contraindications. What Drugs Require Inpatient Detox?